Focus and determination defines you. You are streamlined and efficient. You embrace the most difficult challenges and refuse to give up. You never make excuses, you never stop trying. You conquer mountains from the bottom up, never satisfied with only the descent. You crush the whole loop, every pedal stroke a relentless assault on gravity, your competitors and your personal records. You are XTR and XTR is you. Seriously fast. Confident. Experienced. XTR is committed to rewarding your every effort and has the pedigree to deliver. Dripping with performance, the XTR M9000 drivetrain will not only transfer every watt of energy from pedal to wheel, it will seamlessly shift between perfectly spaced gears allowing you to maintain critical rhythm and momentum over any terrain. You tell yourself you can race without XTR, but you won't. Never second guess your first instinct. Rhythm is the essence of smooth power transfer and proper gear step is the key to maintaining rhythm over varied terrain. Keeping a consistent cadence has never been easier with the CS-9001. The XTR CS-M9001 11-speed 11-40T cassette is not only the widest range cassette Shimano has ever produced, but also it's most balanced. Thanks to its Rhythm Step progression, it maintains calculated, shock-free gear steps from one gear to the next; saving you energy and helping you maintain your rhythm on the trail. Rhythm Step keep your cadence consistent by keeping gear steps as evenly spaced as possible. At an average 80 rpm cadence, each shift results in a 10 rpm cadence change, a managable jump that you'll be thankful for, especially in the big cogs during technical climbs. The XTR CS-M9001 cassette fits on a standard Shimano 9/10 speed mountain freehub and requires no special freehub driver, making the upgrade to M9000 simply a build kit upgrade and not a wheel upgrade as well. A HG-X11 specific tooth profile interfaces perfectly with Shimano's HG-X11 chain, ensuring that shifting performance is flawless and second to none. Please choose the CS-M9000 if you plan to use it on a 1x or 2x (single or double chainring) drivetrain. The CS-M9001 is an updated version that is compatible with 1x, 2x and 3x (triple) cranksets as well. Compatible with Shimano 11 speed chains only. We recommend the XTR HG-901 chain for use with this cassette. Compatible with standard 8/9/10 speed Shimano MTB freehub, no special driver body needed. For true 11-speed freehub bodies, such as "road" freehub bodies, a 10-speed conversion spacer will be required for use with this cassette. Shimano has now advised that going forward, the m9001 will be the only cassette (suitable for 1x, 2x and 3x). There is still considerable confusion over this, and the boxes have not yet been updated. Buy it. If you can take advantage of the sale price here, do it! Went on a short lived SRAM excursion, I have found myself back into the Shimano family. Great range , smooth shifting, it simply functions with no thought. At $149.99 on sale. The value is there. I highly recommend this if you are looking for top of the line weight and performance. Perfect! What else can I say it's shimano xtr. The best there is. The Shimano XTR CS-M9001 Cassette is the perfect complement to my S-Works Diverge. It is incredibly light and shifts perfectly with functional ratios between cogs. I highly recommend this product. Shimano just gets it because they are finding solutions to use your current equipment with new upgrades. Compatible with 10-speed hub, lightweight, shifts clean and consistent, reasonable price. Excellent. My only hope is they release a wider range XTR cassette with a 9-46T or 9-50T range. Then, I am moving back to all Shimano. Just buy this one, so much better. Shifts perfectly, have 300 miles in the first 2 weeks, shifts better than my old XT. This Shimano XTR cassette is top-of-the-line. If you’re looking for a great performance, no need to look any further. Easy to install myself. 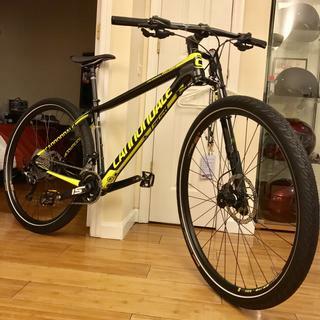 Fit on a 2013 specialized camber. This is a great product. Put in on my gravel bike and feel like I can now climb any hill without a problem. Light , Reliable, What more do we need. Having just installed XT Di2 on my Trigger, the system wasn't as crisp in shifting as it was when my Shimano Rep demo'd it for me. I've always believed you get what you pay for but generally i have not subscribed to paying the premium for XTR over XT when weight is the only advantage. Here, weight is NOT the only advantage. In fact, the XTR cassette with XTR chain combo improved shift speed and effectiveness significantly over the XT combo originally installed. If you are going Di2, you def want to plan for the cost of XTR components to match. Typical fantastic Shimano quality at a great price. What can I say? Great quality, best shift quality, decent weight and fantastic price from Jenson. One star taken off because it is a fair bit heavier than a SRAM cassette but I won't pay Sram's price for a wear item. If you're in need of a larger gear ratio try it out with a Wolf Tooth 45 t cog. Jenson is the best, Joey Claro really took good care of me. Thanks!! Need advise? Call the 888 number, their service is great!! This cassette has a wider range than the "other guys" cyclocross cassette and can be swapped without changing any other parts. It also shifts better and weighs less. I love my new xtr cassette! BEST ANSWER: You are correct about Shimano compatibility indicating m9000 for 1x and 2x chainrings and m9001 for 3x. The see the Jenson site lists the m9001 as "11-40 single/double/triple". I am using a m9001 on a 1x with no problems. On referring to the Shimano tech documents site it shows drawings of both cassette types with the 7 smaller cogs being completely interchangeable. I suspect the 4 larger cogs on the m9001 may have different sprocket carriers that may be stronger to accommodate the extra torque a small 24 tooth chainring on a triple could generate. As I say, I have not had any issues using a m9001 on a 1x drivetrain. I can also recommend the cs-m8000 XT cassette which I also run on my mountain bike 1x. I like the ability to use a 42t sprocket and XT is cheaper than XTR and I do not detect any huge shift differences but I am not a pro level rider. If you run a 1x system I recommend using a SRAM 11 speed 1x chain to reduce or eliminate back pedaling chain derailments. I have found the PC X1 to be good value for money. Hope this is helpful. The 9001 is a 11 speed cassette designed for mountain biking. I am sure you could use 2 chain rings in the front if you wanted but the point of having 11 or 12 speed wide ranging cassettes is to be able to run a single ring up front. I have this cassette and run a 32 tooth chainring in the front and I find it to be adequate. This was confusing for me too so I called Shimano USA and they said that they only make the 9001 from now on because they have learned that the 9001 works better than the 9000 for all setups (1/2/3) so while there is still some old stock of 9000 and while in the past the 9000 and 9001 were each recommended for different setups (even the boxes say that) they are ONLY making 9001 from now on. Sure you can. I think every year Shimano changes the model names by a number or two just to update... I just encountered this with brake pads. But a 1x is a 2x is a 3x I believe - it doesn't really matter what you are running up front, as long as your chin line works with your front crank. I run an 11-40 on an XTR 1X for my Scott Spark & Scale. Also, I've had success with KMC chains as well as the shimano - stay with shimano if you want to play it safe. I run an Absolute Black oval 34 chainring up front - it's my race rig. For hillier rides maybe a 30, middle road 32. They make a bigger range too, but for racing I like the smaller steps between gears. So long as you have enough range (which is a personal thing), going to 1x is not dependent on the cassette. You can use whatever cassette you want, so long as you have the proper tensioning/retention mechanism (a 1x specific chainring or chain guide and, ideally, a clutch rear-der). No magic happens with rear cassette. I've used my 9001 with both a 1x (using a large/small 1x conversion on my older XO cranks and also as a 2x when I upgraded my cranks to XTR 2x. The rear cassette doesn't care as long as you are using an 11 speed chain. Yes. Per Shimano, the CS-M9001 replaces and superceeds the CC-M9000 and is for 1x, 2x and 3x drivetrains. The box is also marked to indicate this. They said the CS-M9000 is discontinued. Hi. I have it with 2 x11. 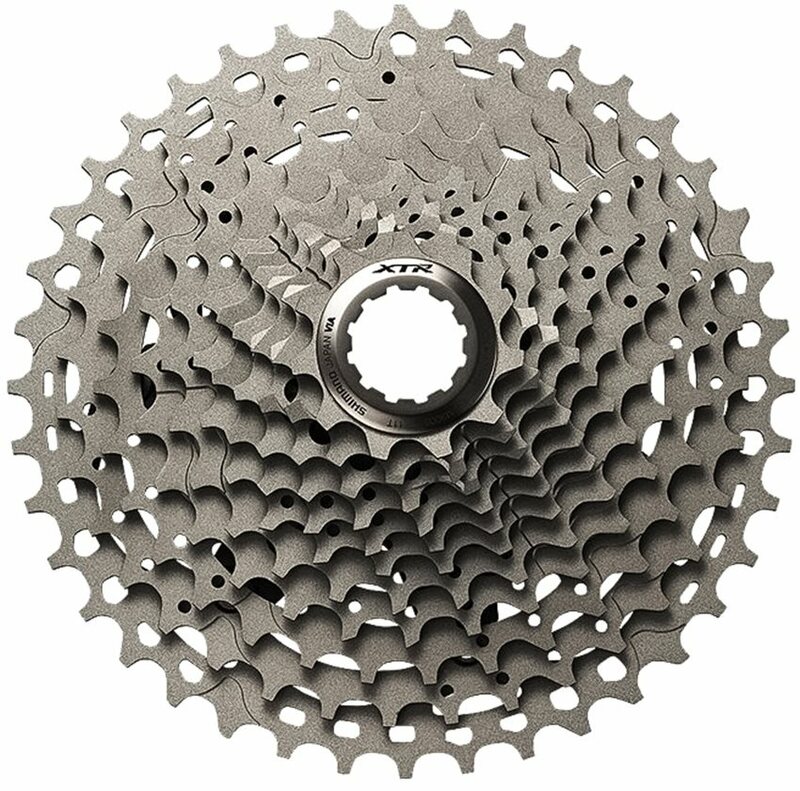 Is there an actual difference between the XTR 11-40T cassette that is called M9000 (for 1 x 11 and 2 x 11) and the one that is called M9001 (for 3 x 11). I believe so, I have two XTR 11 speed 11-40 cassettes, one of which was labelled 9001 and the other 9000. They seem to be identical to me. Yes, I'm using the 9001 on my 1x setup. 9001 works on 1x 2x 3x... 9000 only on 1x and 2x. Yes you can. I have my Yeti SB95 set up as a 1x11. Very smooth. Thank you, that's encouraging, I have one and then realized there were 2 types, I want 1X! Is this a ten speed? BEST ANSWER: This is an 11spd cassette........says that right in the description of the product. Good Luck!! Will this work with Sram xx1 derailleur? No it will not as Shimano and Sram have different activation methods for moving their rear derailuers. BTW I have found that the XTR del. WILL work with the 46T XT cassette, though I'm running a 40T XTR cassette with the Wolftooth 45T GC. I used this with a shimano 105 derailleur medium cage with a Wolftooth derailleur optimizer. Added a new longer chain and it works just great. Very happy with the cassette. A SRAM cassette is working with a shimano derailleur, so I do see any reason for the opposite not to be true. Is this a single piece cassette or can I change out the largest ring for a 44 tooth? Also in another question someone recommended using a SRAM 11 speed chain, however in the description it says only compatible with a Shimano chain, can anyone help clarify? BEST ANSWER: The Shimano XTR cassette comes in 3 pieces. Therefore you cannot swap out your largest ring. I would go with Shimanos new XT 11-46 and be done with it. And yes you can run a SRAM 11 speed chain on Shimano cassettes but won't get the max life or shift crispness. Hi! It is not a single piece cassette so you can change the ring as you wish. As far as I know there is no any principal difference between shimano and sram 11 speed chains. So you can use them both. The three big cogs are one peice and can't be change. Shimano and Sram are tricky, you might have compatibility issues. Especially if you choose the xx1 products. Also the free hub is not compatible. It's not a single piece like some of the SRAMs. I'm using a Schimano chain with it and a Wolf front chain ring. Im really pleased with the combo and wouldn't cHange anything. Will this work with a Di2 derailleur such as the M9050 ? BEST ANSWER: Yes, I use this M9001 cassette with my XTR 3x11 and Di2 M9050 rear derailleur. Love the system - it works fast and flawlessly. The extra chain tension of the M9050 rear derailleur, allowed by Di2 electronic shifting, means I have no chain slap, no drive train noise, and no dropped chains in nearly 2 year and 4000 miles of technical riding. Technically Shimano says no, but I just built up yet another Di2 setup with this cassette and it's wonderful.